Let us find tile professionals for you. The firm's floor tile installers can efficiently serve individuals close by their office at 1523 Village Pine Way, in San Diego. The skill of Explosive City Tiles tile installers could improve any residence. 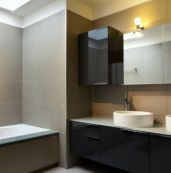 Boost your household redecorating assignment by using tile consultants at Explosive City Tile. All services conducted by this agency are sure to feature the finest quality results available. San Diego domestic improvement is enhanced through the expertise of the organization's experts in tile services. Throughout San Diego, a person can expect any house remodel to be quality assuming they engage workers who are known for tile installers. The licensed and practiced staff of workers at this firm completely with durability you can trust. Veteran tile installers with Explosive City Tile shall conclude your residential update. The professionals at Explosive City Tile's biggest aim is bringing full approval to each of their consumers. Exactly what does their company specialize in? Their forte: porcelain tile engineering operations. 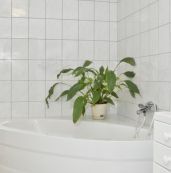 You can secure the greatest building upgrading work available if you hire a tile specialist. The Explosive City Tile business is managed in San Diego and is locally managed. If you're organizing a renovation, never forget to secure tile installers. 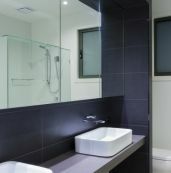 To get the best possible outcome on your house updating, you will require an established tile professional. For five years, their crew has been the greatest answer for tile assignments in the San Diego, CA area. 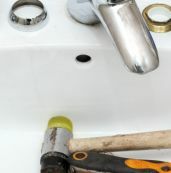 Explosive City Tile expert tile installers are crucial to see a top notch household renovation. The helpful personnel at this crew could make your perfect household a reality. Get in contact with Explosive City Tile client assistance in San Diego, CA at 6198714878 for your estimate, cost free! Please browse their organization's web-site to figure out all the service that the porcelain tile fitters with Explosive City Tile of San Diego, CA can provide. Explosive City Tile - Tile Installers in San Diego, California. In business since 2012. The company's license number is 969549. License held: Tile (ceramic And Mosaic). 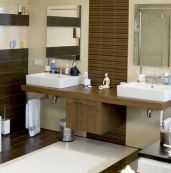 To get started, browse the best San Diego Tile Installers, read reviews, find detailed contractor information on individual Tile Installers in San Diego and request free project estimates. Finding accurate service costs before planning a remodeling project is important for keeping the overall project costs down. Are you looking to install tile flooring in San Diego soon? Find accurate San Diego tile floor installation costs right now. Knowing accurate remodeling costs upfront can help you negotiate more effectively with trade professionals and vendors and gauge whether their projects quotes are fair, as compared to your local market costs to install tile flooring in San Diego. We work hard to help you make confident decisions regarding which home products and services to purchase, as well as help you identify trustworthy local San Diego tile floor installation contractors. Our goal is to make sure you are able to have quality work completed at a fair price and on time.